Sometimes, sick children require care that can only be found at specialist hospitals and often, these hospitals are located far from home. But it is hard to feel well without your family, far from home in a strange hospital environment with devices everywhere and people in white coats. 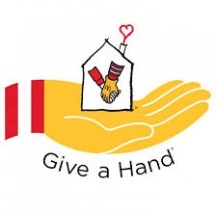 And that is why Ronald McDonald House exists. It is a house that should be as similar to a true home as possible. Here, the whole family can stay together near the hospital during often long treatment periods. There are currently five Houses near some of the Swedish hospitals that offer specialist care. For Ronald McDonald House, we have translated rules for residents. Families of all different backgrounds stay at the houses, including newly arrived immigrants who speak neither Swedish nor English. To make sure everyone has the chance to understand and follow the rules that are in place to create a pleasant environment, the rules must be available in several languages. Språkbolaget helped Ronald McDonald House to translate the orderliness rules into the right language to communicate with the house residents. We have experience with the languages spoken in the countries that immigrants come from. Sometimes it can be difficult to know what language you need your texts to be in. We are happy to provide an analysis of the material and can suggest which languages it should be translated into.